On Wednesday gold capitalized on the dramatic drop in US equities, briefly piercing the $1,350 an ounce level only to end the day at breakeven as stock markets staged a remarkable recovery. Year to date gold has gained just under 4% as the metal extends a bull run in place since end-2015. Gold bottomed at a whisker under $1,050 after a four-year slide from all-time highs in 2011 above $1,900. New York-based CPM Group in its 2018 Gold Yearbook points out that the best indicator of trends in gold mining costs is, quite simply, the price of gold. The 32-year old independent commodities researcher in its 221-page industry bible says all-in sustaining costs (AISC takes into account administrative, exploration, reclamation and other costs) bottomed out in the first quarter of 2016. 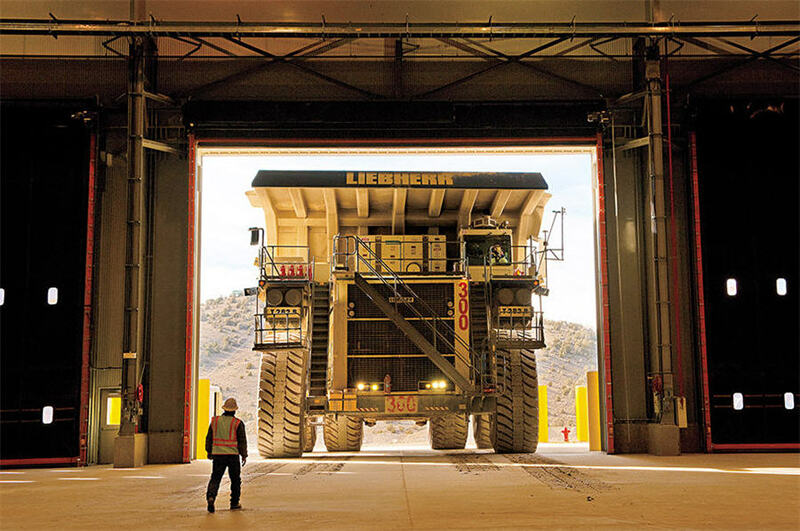 Based on its production-weighted data calculated from 41% of annual global gold production of 97 million ounces, AISCs averaged $871 during that quarter, down some 27% from the peak AISC of $1,187 touched in Q3 of 2012. AISCs have risen since then to average $949 during the third quarter of last year, up around 9% from Q1 2016. According to the authors the increase "primarily reflects an improvement in gold prices and an increased conviction among mining companies that the bottom in gold prices" has been reached. 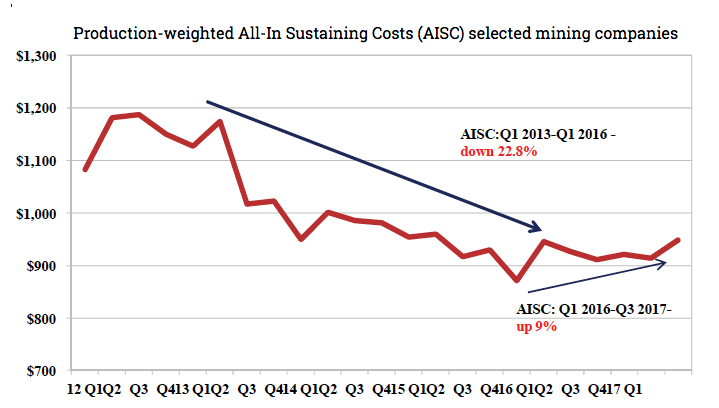 AISCs had been declining alongside gold prices "almost entirely as a result of reduced sustaining costs, with cash costs remaining mostly stable". But since the turnaround in the price of gold since Q1 2016 both sustaining and cash costs have risen with the former up a whopping 22%. "While sustaining costs have risen sharply from the first quarter of 2016, they are still around half their peak value. Cash costs meanwhile did decline from their peak in the second quarter of 2013, but that decline was not nearly as dramatic as that of sustaining costs." This trend of rising costs is set to continue says CPM, not least because forecasts are for the price of gold to firm further in the medium term.